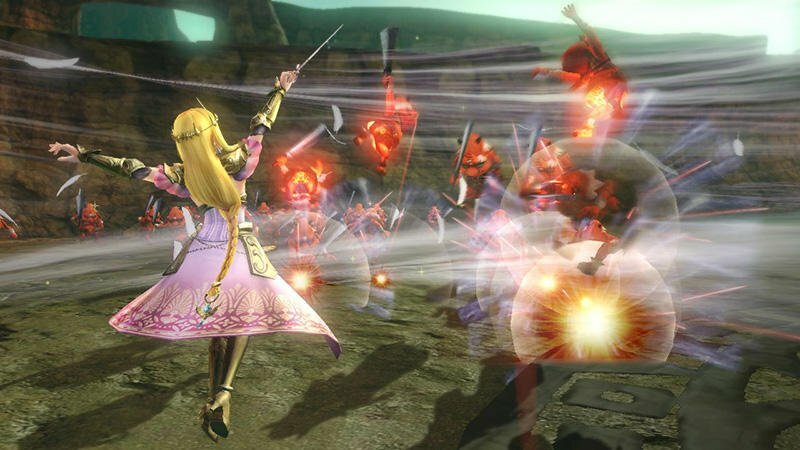 After weeks of showing the same galleries and footage, Nintendo finally has something new to tout from Hyrule Warriors. 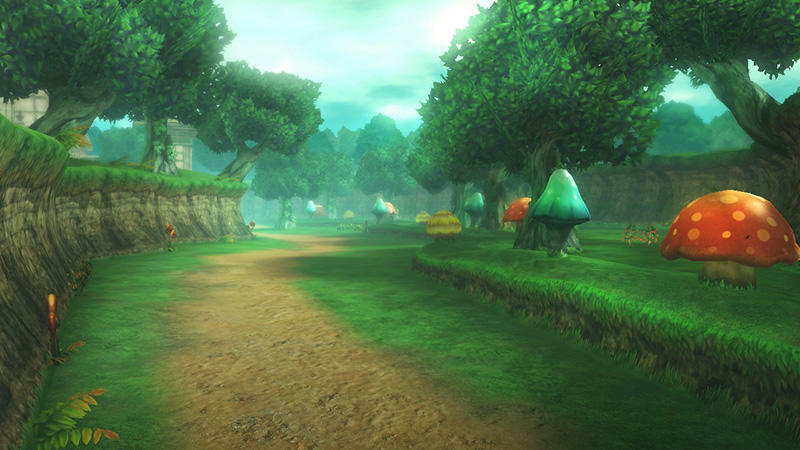 A new batch of screenshots shows off the gorgeous landscapes of Hyrule, some new characters, and a few new weapons up Link’s sleeves. 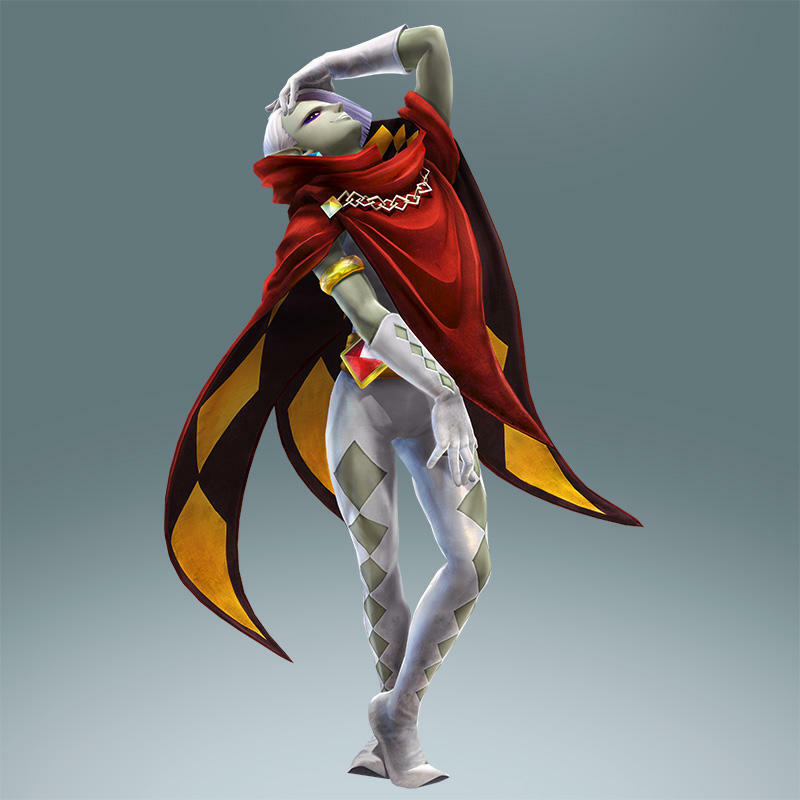 First up are the new characters. 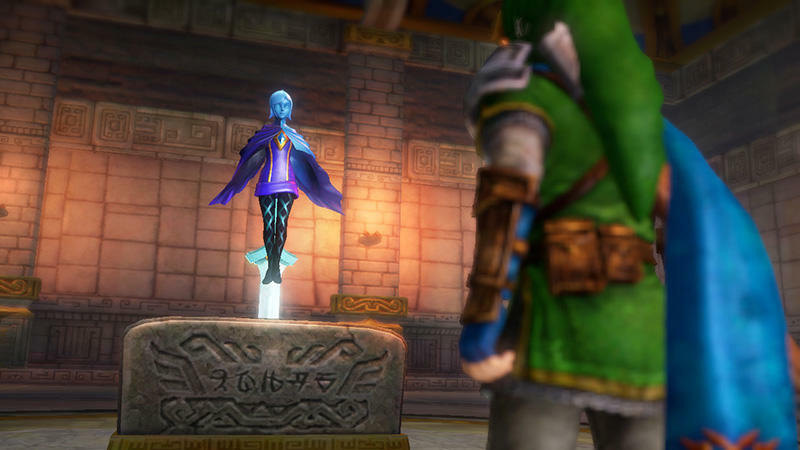 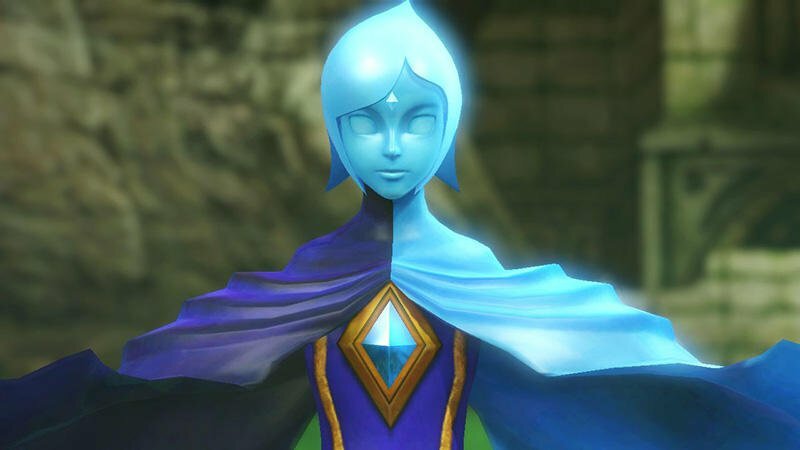 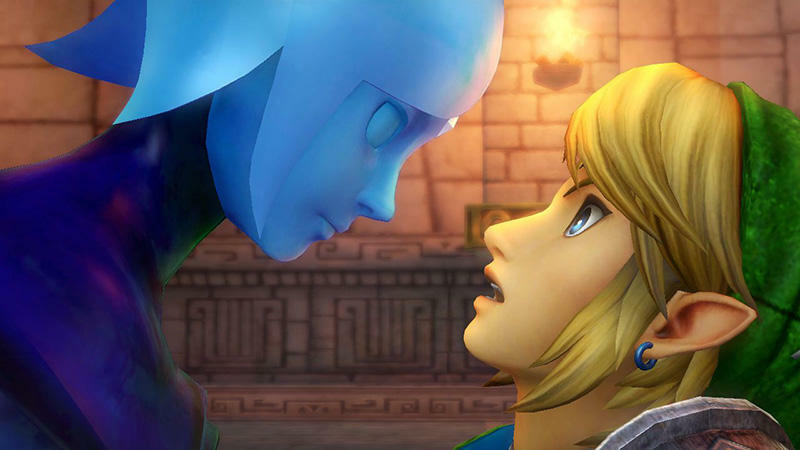 Famitsu already spread the rumor that Fi, the spirit of the Master Sword from The Legend of Zelda: The Skyward Sword, is going to be a playable character in the game. 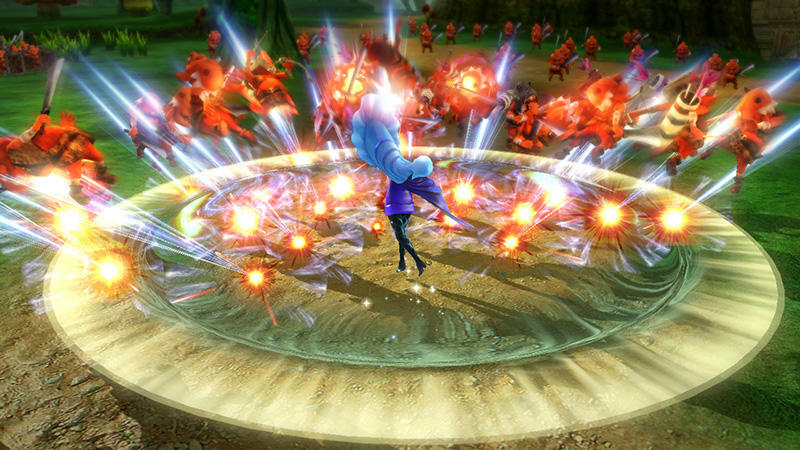 The screenshots here confirm her in combat, so there you have it. 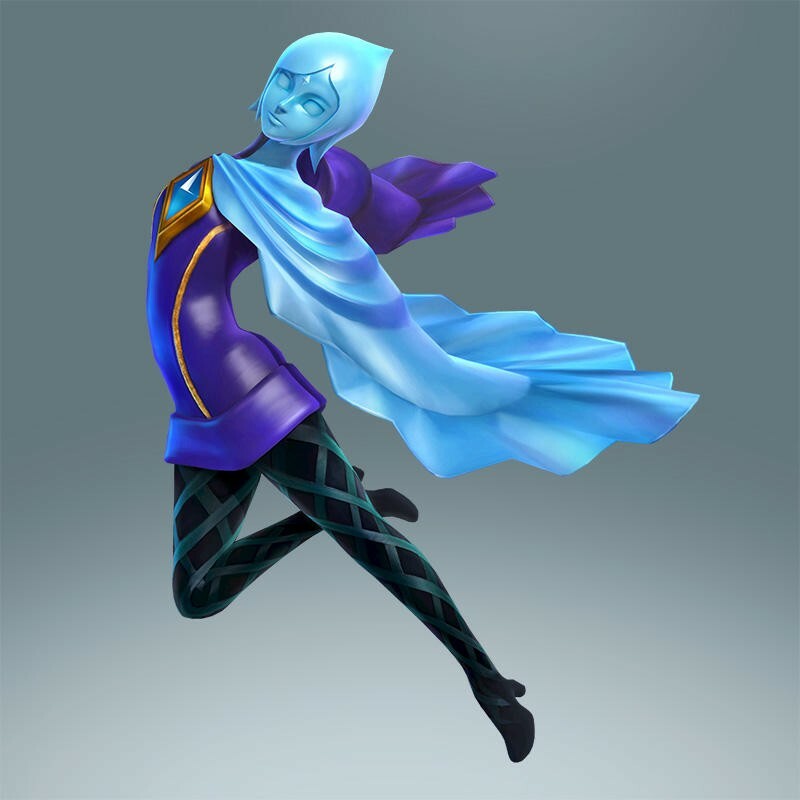 Fi is the seventh confirmed playable character, and she’s yet another female. 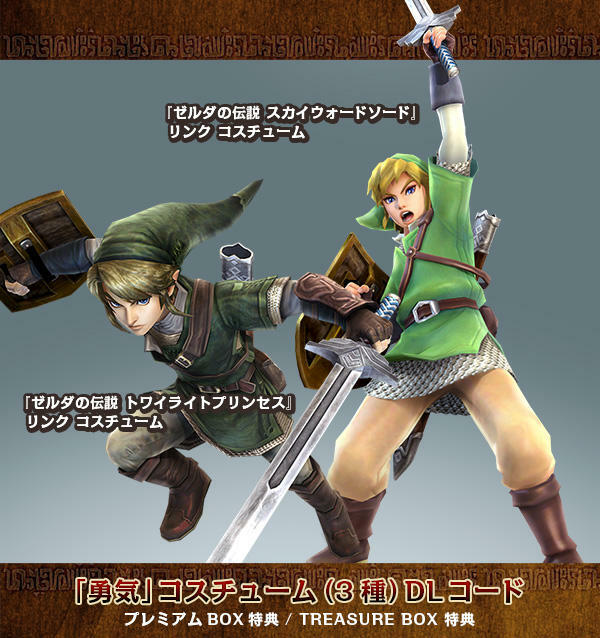 No dudes in this game outside of Link. 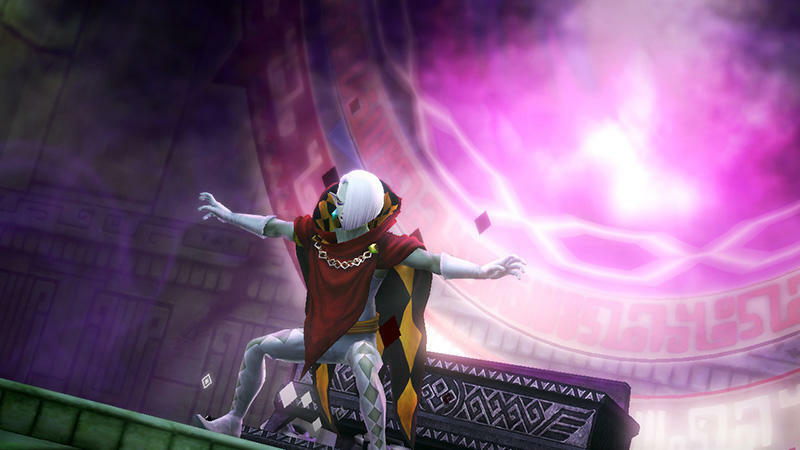 Well, there is also Ghirahim, but something tells me he’s returning to his role as an antagonist. 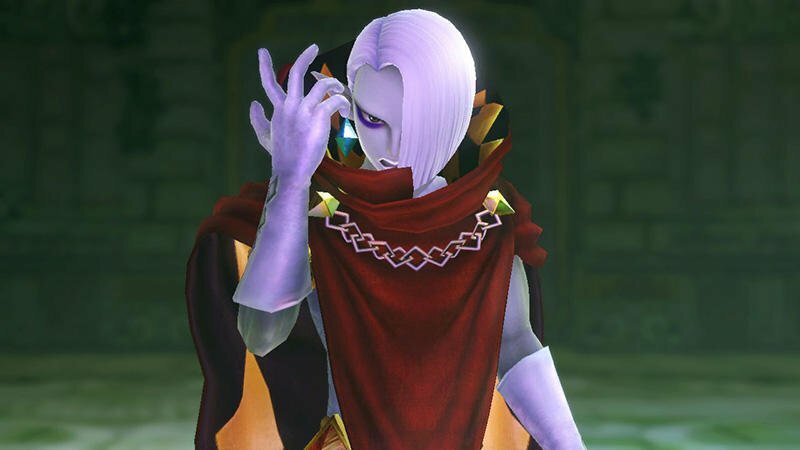 He hasn’t changed his angsty hair cut yet. 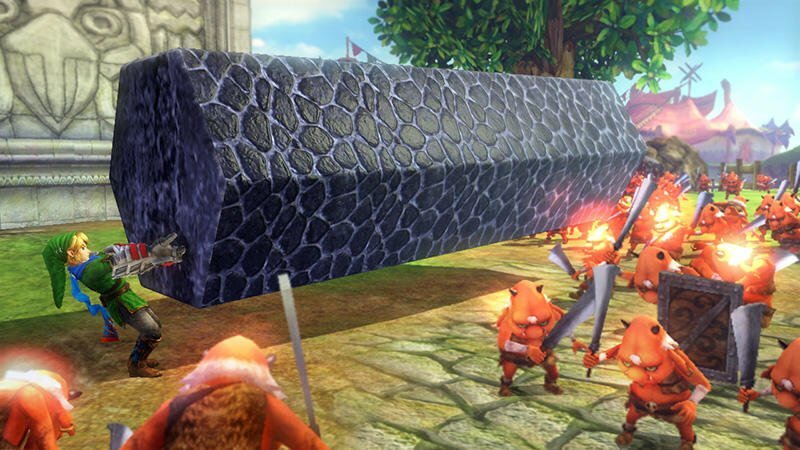 Chances are he’s only appearing in this game to get in your way. 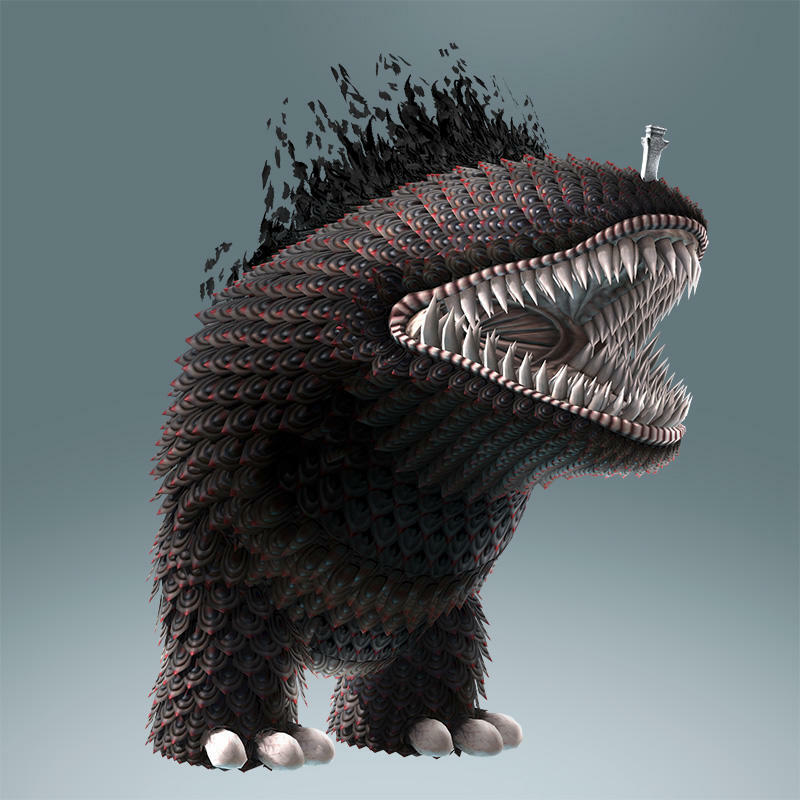 The last of the new characters is actually a monster and one of epic proportions at that. 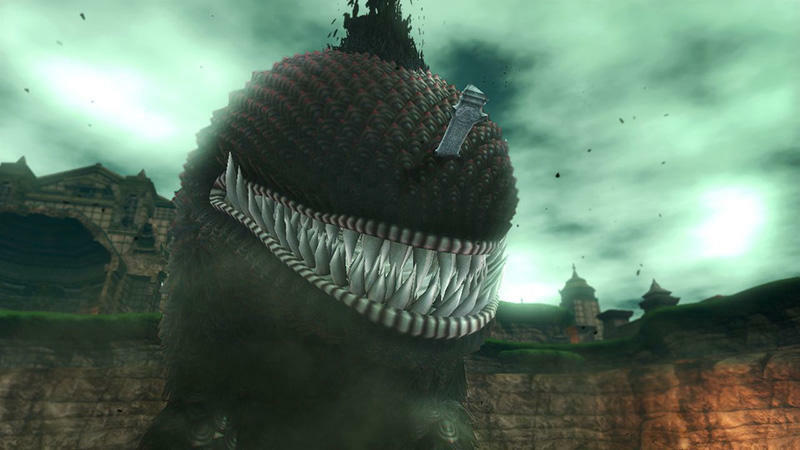 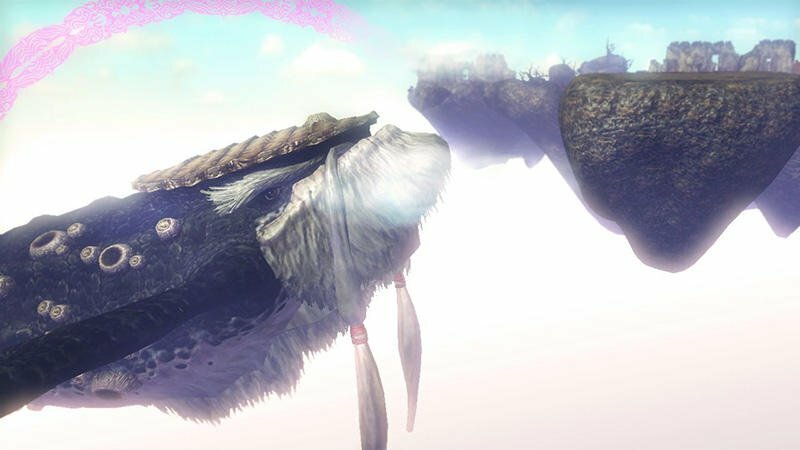 It’s nothing but a gaping heavily toothed mouth walking on a pair of elephant legs, but the shields it has for scales all around its body give him a creepy vibe… like he belongs in Dark Souls or something. 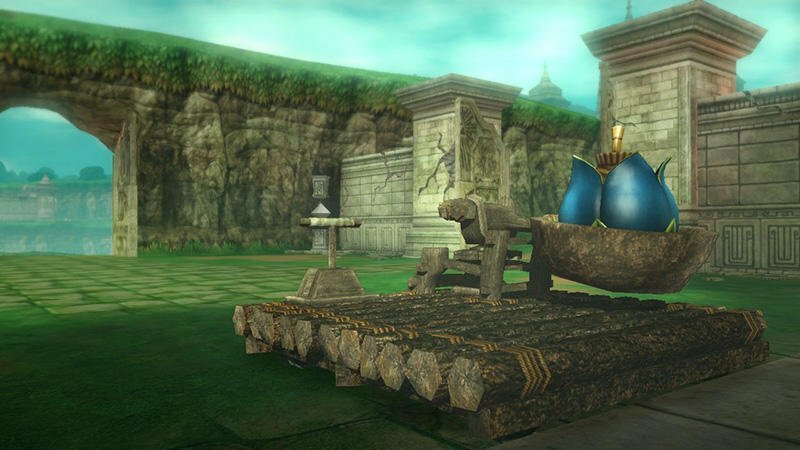 It’s the first I’ve ever seen of this monster, and unless he appears later in The Skyward Sword, I can’t speak to him appearing in other games. 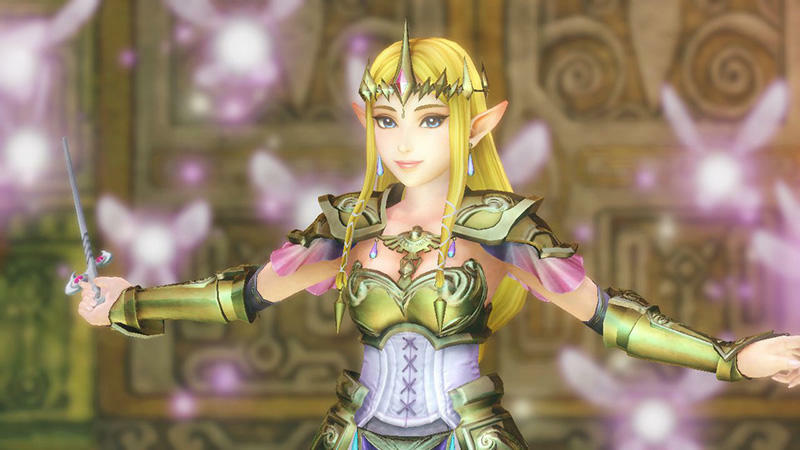 Lavias also makes an appearance, so it seems Tecmo Koei is done hyping its Twilight Princess references and will now focus on The Skyward Sword. 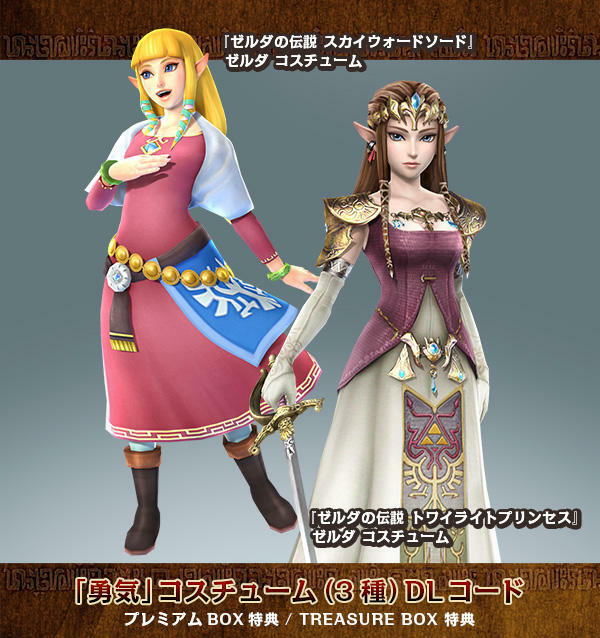 Which Zelda game will be next, I wonder. 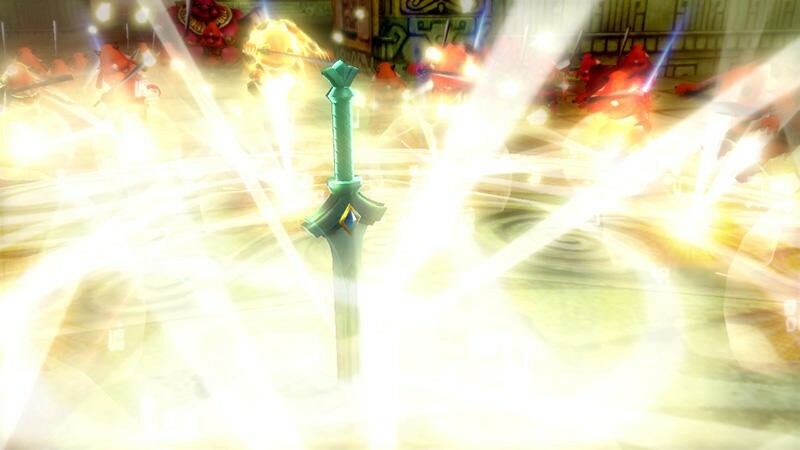 Link’s new weapon is the coolest addition to the screenshots. 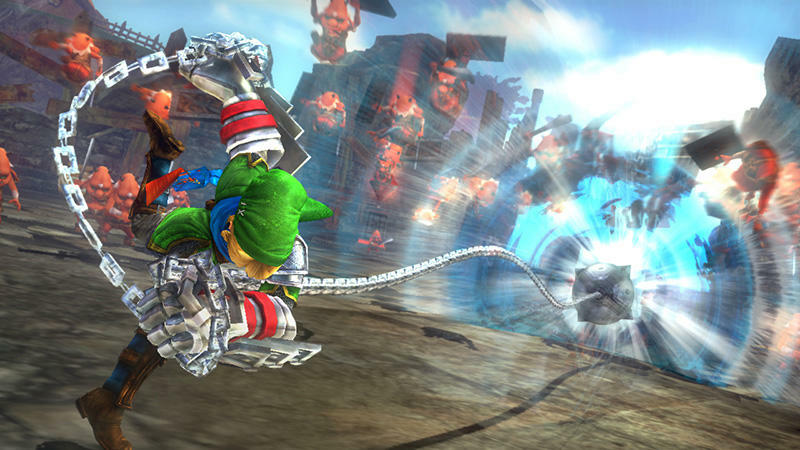 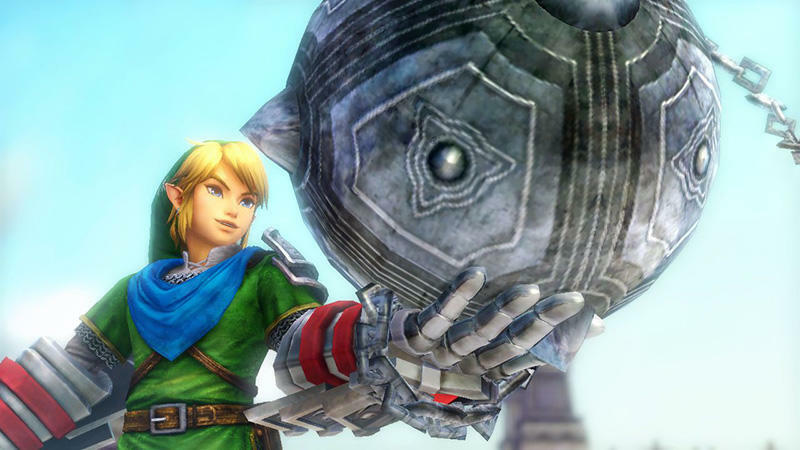 The new item puts the typical Hyrule Warriors‘ extreme spin on a classic Legend of Zelda tool, the power glove. 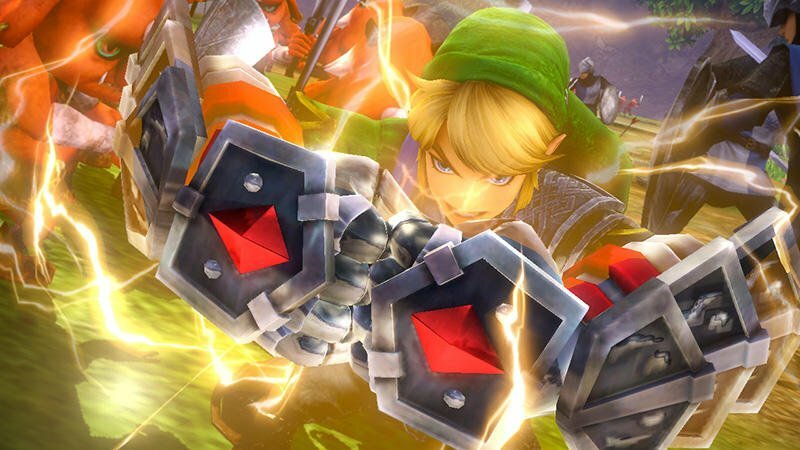 These massive gauntlets give Link the ability to punch hits enemies’ lights out or crush unfortunate foes under the weight of massive objects. 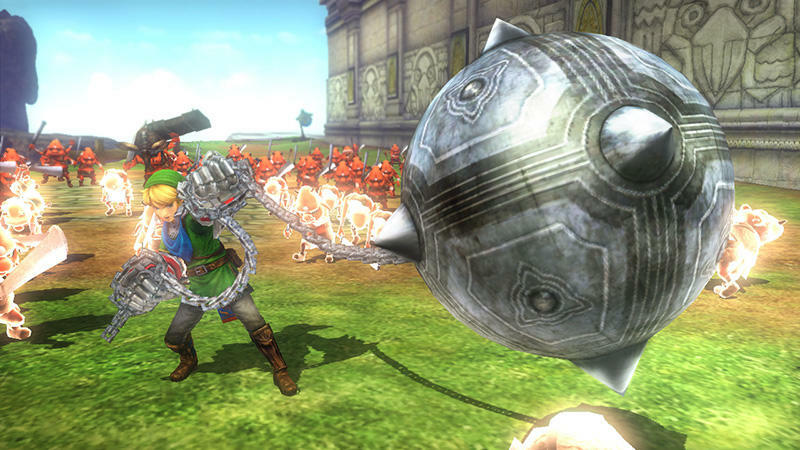 One beastly item Link can pick up is a huge flail on the end of a chain, most likely a whip weapon of some kind that comes included. Not bad. 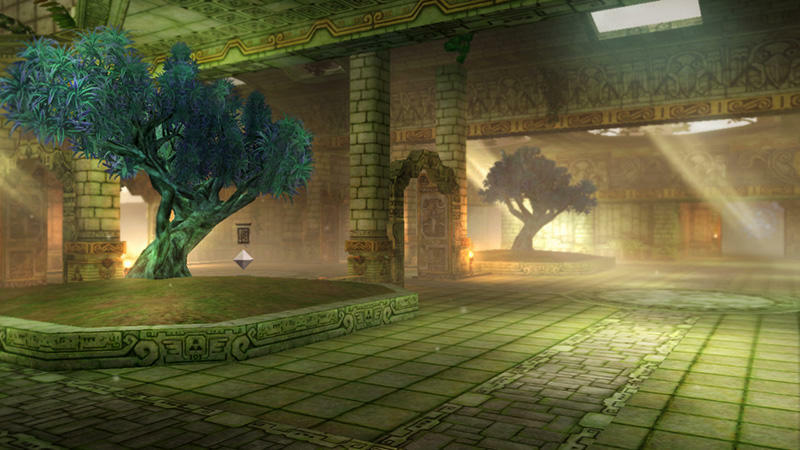 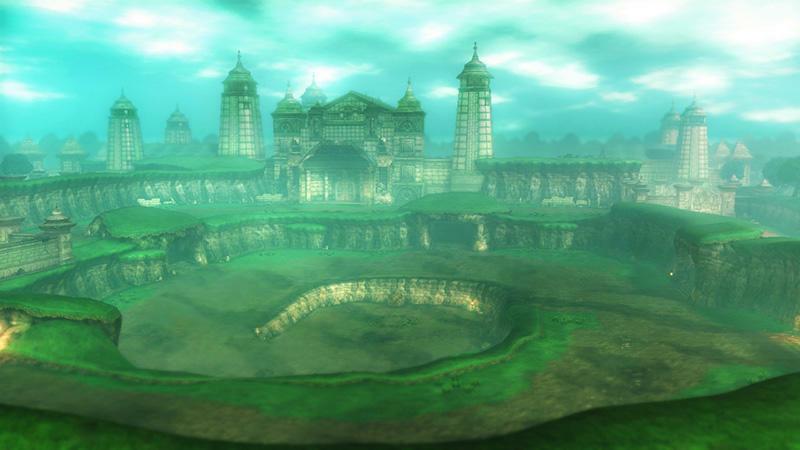 Further screenshots flesh out Koei Tecmo’s vision of Hyrule, proving that it is not a single battlefield with a simple dungeon here and there. 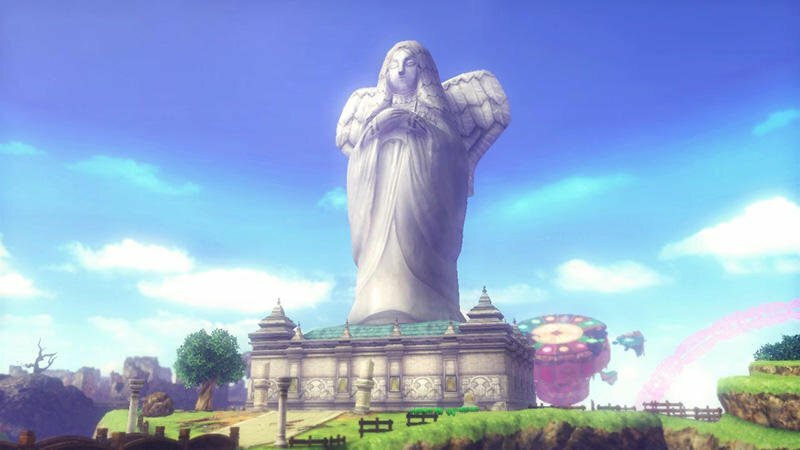 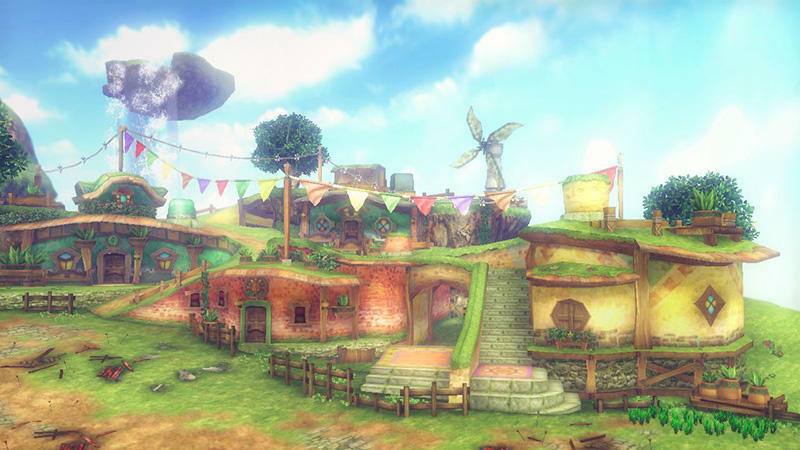 Mushroom Forests, the classic Witch’s Hut, villages and floating islands, and an enormous statue. 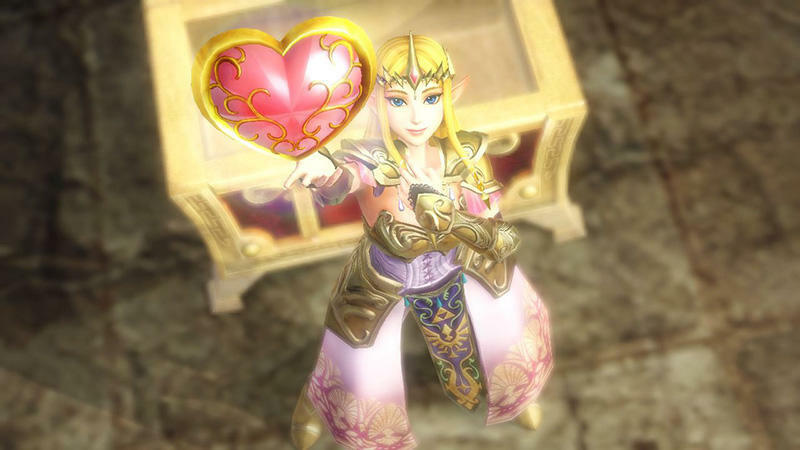 Dare I say, I’m in love with this Hyrule. 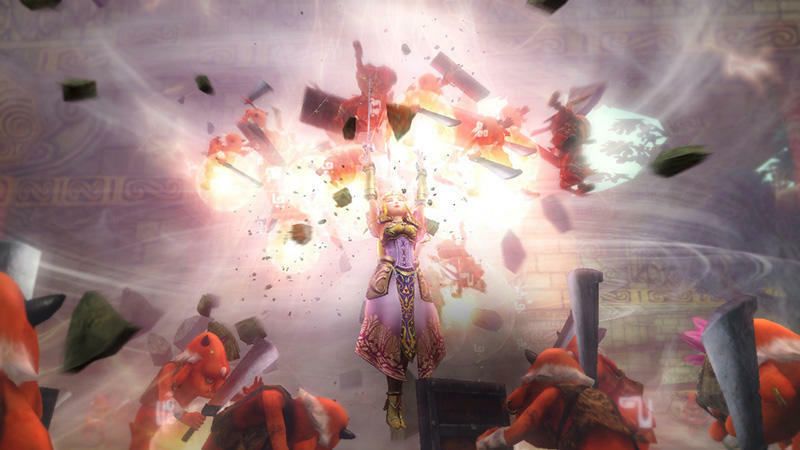 Koei Tecmo is sparing no expense at making this game feel like it genuinely belongs in the main series. 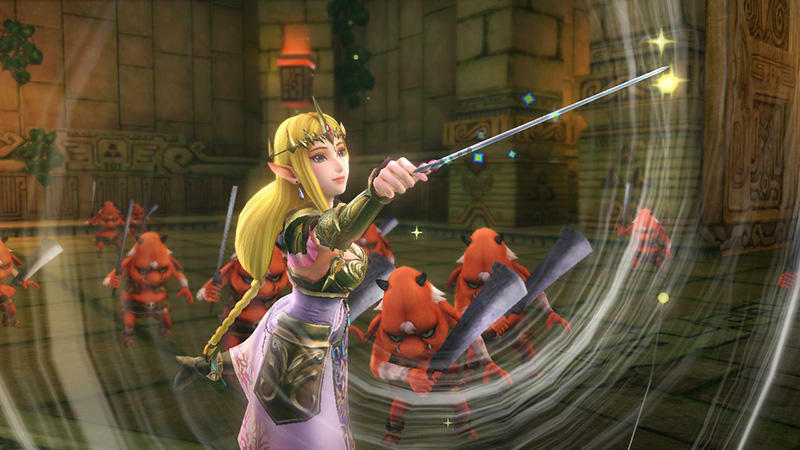 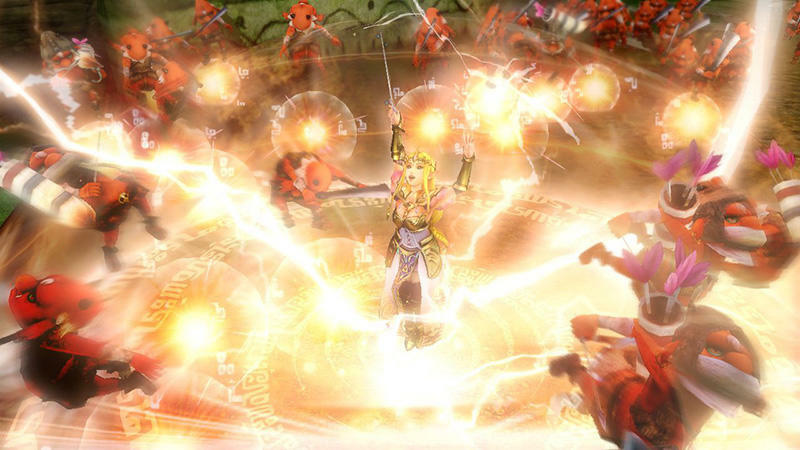 Oh yeah, and Zelda twirls a baton like conducting a orchestra, whatever that is. 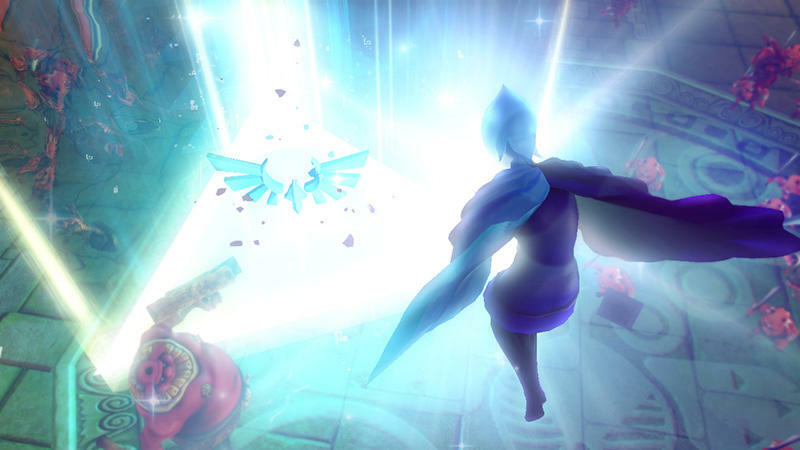 A Wind Waker nod, perhaps? 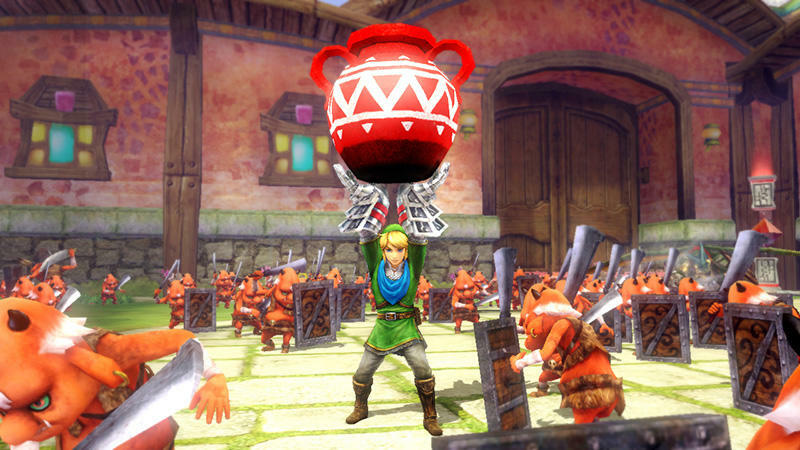 I would die happy if Toon Link pops up in this game. 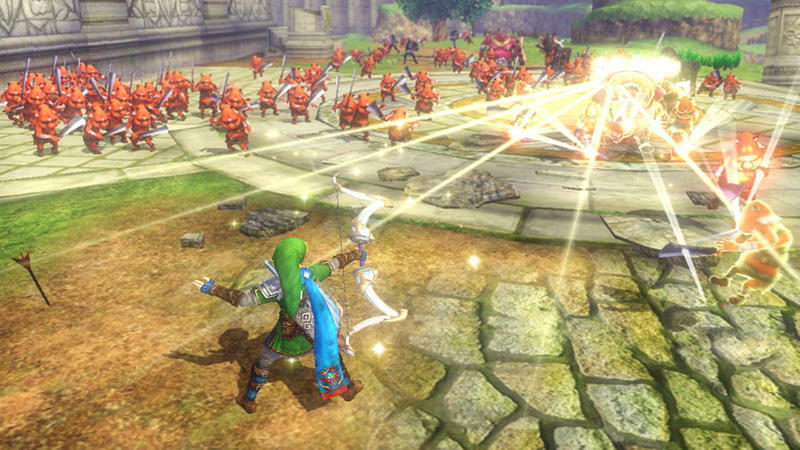 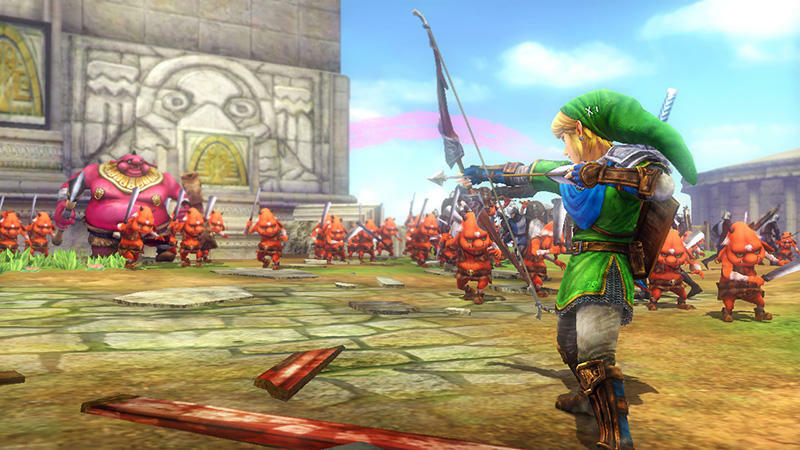 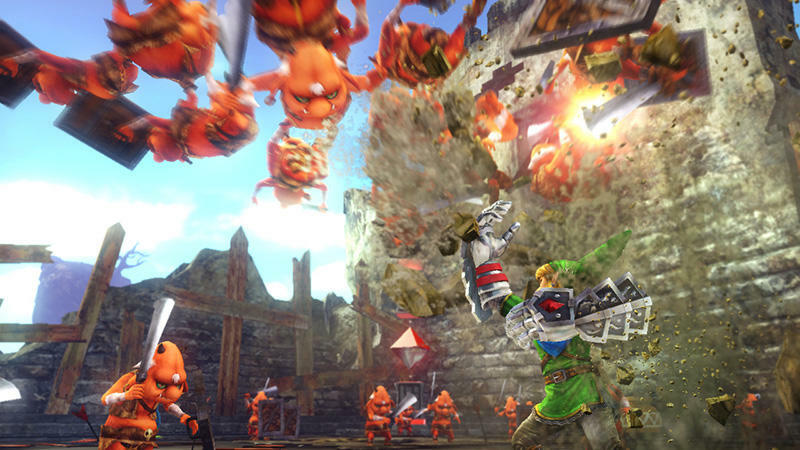 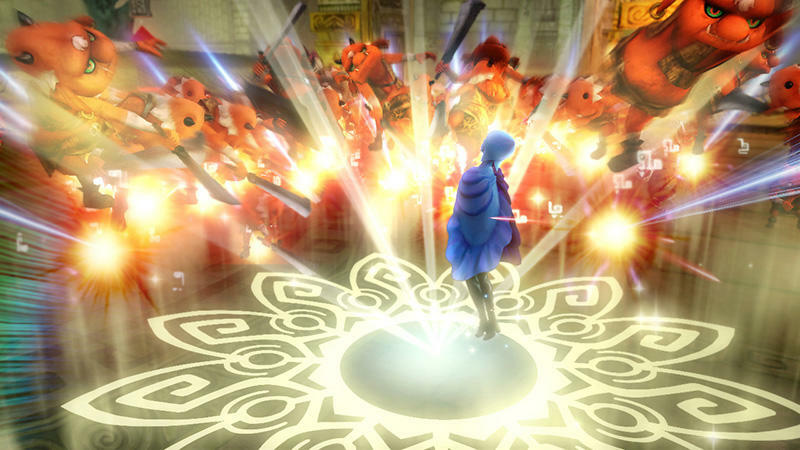 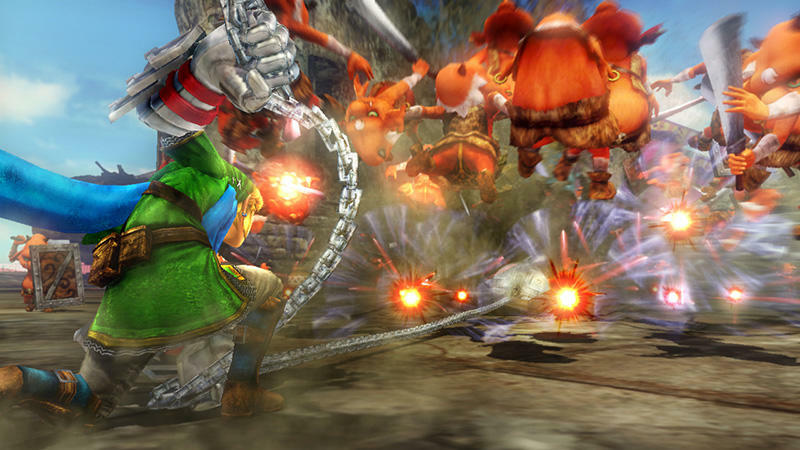 Hyrule Warriors will be released for the Wii U on September 26th.